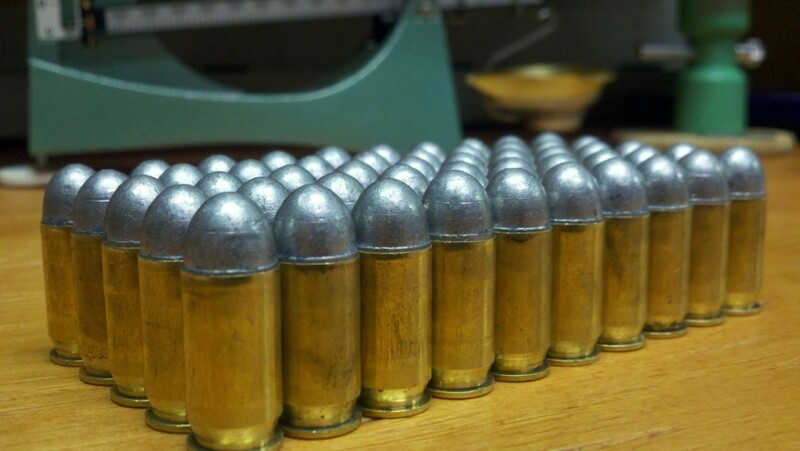 Recently I ordered some leadcast bullets in order to load 45 ACP. Grafs.com is a supplier of Missouri Bullet Company’s product line including pistol and rifle leadcast bullets for reloaders looking to save some money and honor the diminishing art of slinging real lead. In my order I obtained 500 bullets of the .452″ –230 grain “Softballs” as designated by MBC. MBC uses Thompson’s Blue Angel Bullet Lube as the lubricant on their bullets. While I found the bullets consistent overall particularly enough for their intended usage, the lubricant buildup on some rounds was enough to effect chambering only when using a case gage. A tumble once loaded or a coarse towel can alleviate it. Despite that, the amount of bullets with lube buildup outside of the lube ring were in small number. After several hundred rounds being loaded progressively on a Hornady Lock n Load AP Progressive press with Hornady’s 45 ACP 3-die carbide set, very little lube buildup was found on the dies. Seating was acceptably consistent and did not seem to deviate in correlation with the suspected lube buildup. The seating die sleeve touched the ogive of the bullet without trouble like the lube buildup wasn’t there. Firing in an older German Sig Sauer P220 chambered in 45 AUTO, this load proved to be rather accurate –more so than my capabilities. Wax and lead smoke upon firing was rather noticeable and a good amount of buildup on the internals of the pistol chamber area “looked dirty”. Function was O.K. apart from the suspected light target charge causing failures to lock the slide back after the last round and one stovepipe in the 100 test rounds. An increased, normal load will be used from here on out and checked again for function. © 2019 showmereloader.com. All rights reserved.